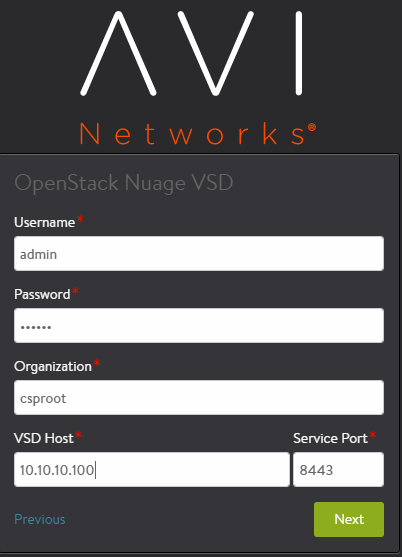 This guide describes how Avi Vantage integrates into an OpenStack cloud and includes Avi UI installation steps for a variety of deployment modes. 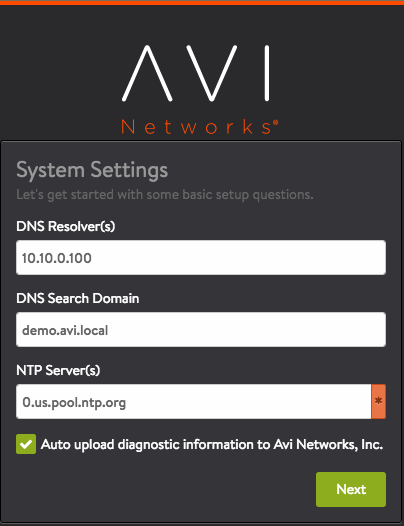 Neutron LBaaS v2: Users can either use Avi Controller API (or UI or CLI) to directly configure load balancer instances. 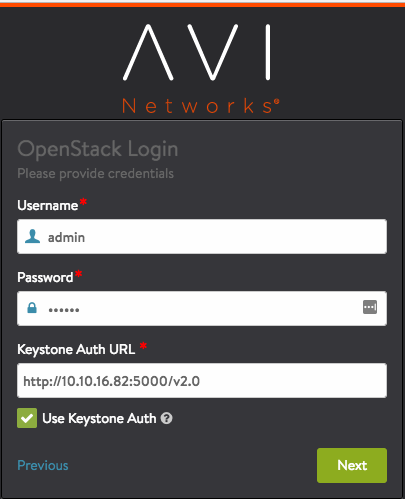 Optionally, the OpenStack admins can install Avi LBaaS driver on the Neutron API servers and enable Avi as a provider for Neutron LBaaS API. Note: LBaaS v1 is deprecated in Avi Vantage 17.2.x. Add 3 GB for each additional vCPU in a Controller. Add 1 GB for each additional vCPU in an SE. If a username "test" is created as a Keystone v3 user in a domain named "default," then explicitly specify "test@testdomain" when logging into the Avi Controller. If the domain name is not specified, Keystone looks for a domain with UUID "testdomain" and not the name "testdomain." 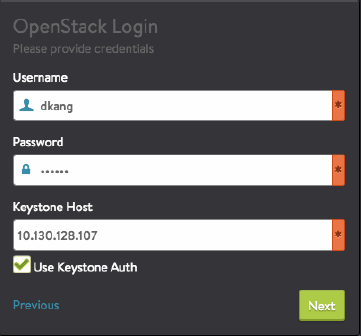 Since no domain with a UUID of "testdomain" exists, Keystone fails, returning the error "invalid user/password." 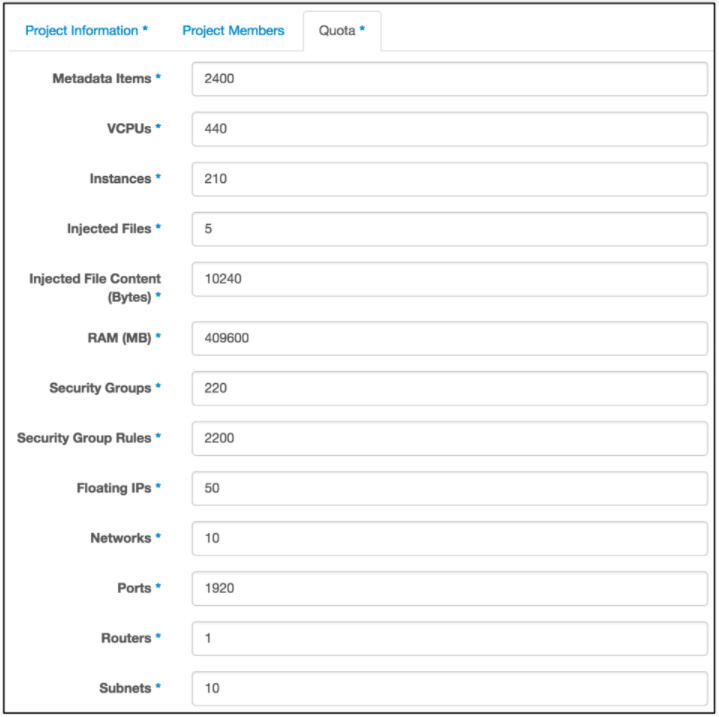 The security-groups Neutron extension supports the specification of whitelist rules for both ingress and egress. Avi Vantage uses this extension to create one SG per Avi SE. This SG is created with ALL egress and SSH & ICMP ingress. Since virtual services are created and placed on this SE, the corresponding service ports are added to this SG. Similarly, when the VSes are unplaced from the SE, the corresponding service ports are removed from this SG (if no longer used by any other VS on the same SE). If this option is set to True, the security-groups extension will be used. If the underlying network plugin doesn’t support this feature, then VIP traffic will not work unless there are other means to achieve the same effect. 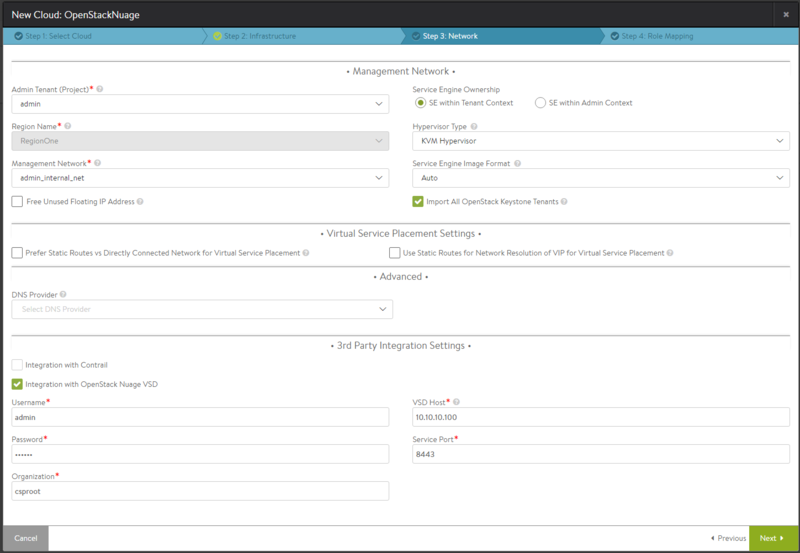 This option can be turned off if the underlying network supports turning off security filter rules on ports. The following example shows the SG of an SE with a VS with service port ‘80’ placed on it. Compute uses the nova-scheduler service to determine the host to launch a VM based on various criteria and filters. One such filter, ServerGroupAntiAffinityFilter, ensures that each instance in an anti-affinity group executes on a different host. 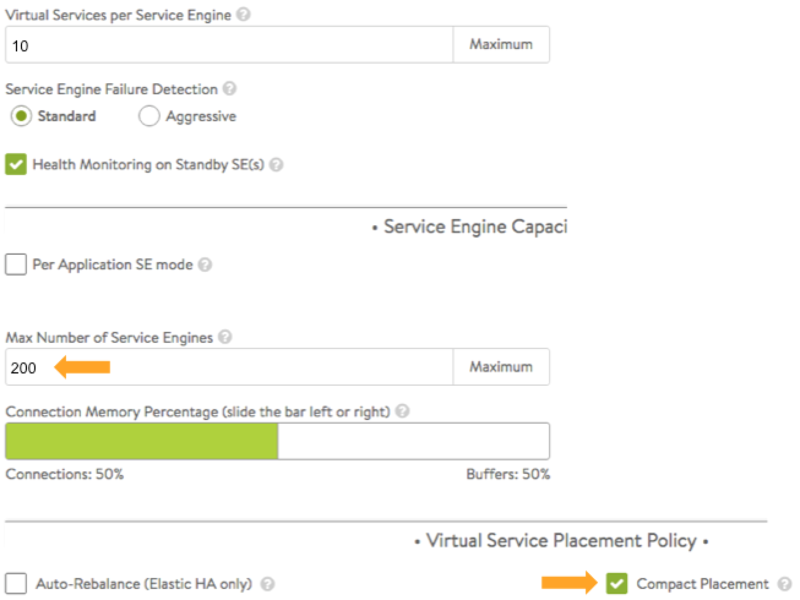 Avi Vantage uses one anti-affinity group per SE group, thereby enabling each SE in the SE group to be placed on different hosts for better isolation of SEs in the event of host failures. If set to False, anti-affinity filters will not be used. This option can be turned off, if nova-compute has only 1 compute node. 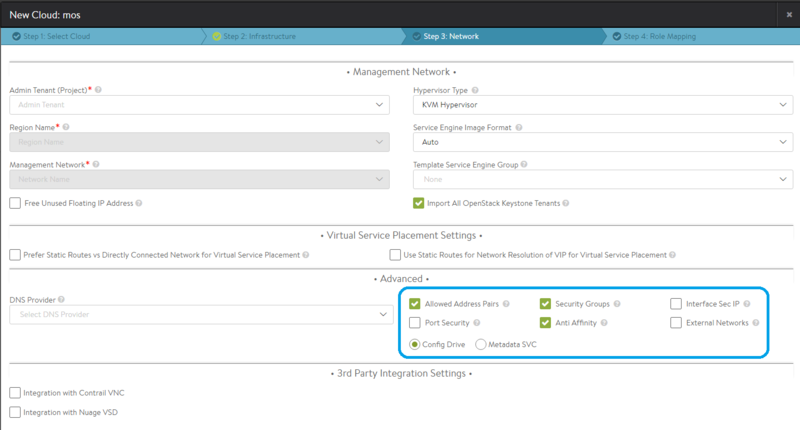 The following example shows an anti-affinity group of SE group, serviceenginegroup-37dac996-7c88-4761-a920-6dc9d265c786, in a tenant with two SE VMs. Note: For the sake of readability, command output has been changed from its normal 7-column appearance to 2-column. 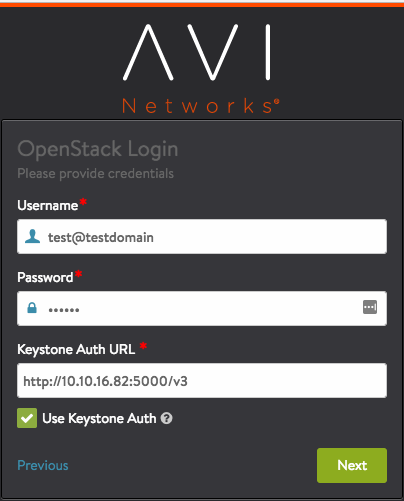 Setting this option to True enables selection of OpenStack networks marked as ‘external’ for Avi management, VIP or data networks. Config-drive: Metadata is written to a special configuration drive that attaches to the instance when it boots. The instance can mount this drive and read the data. 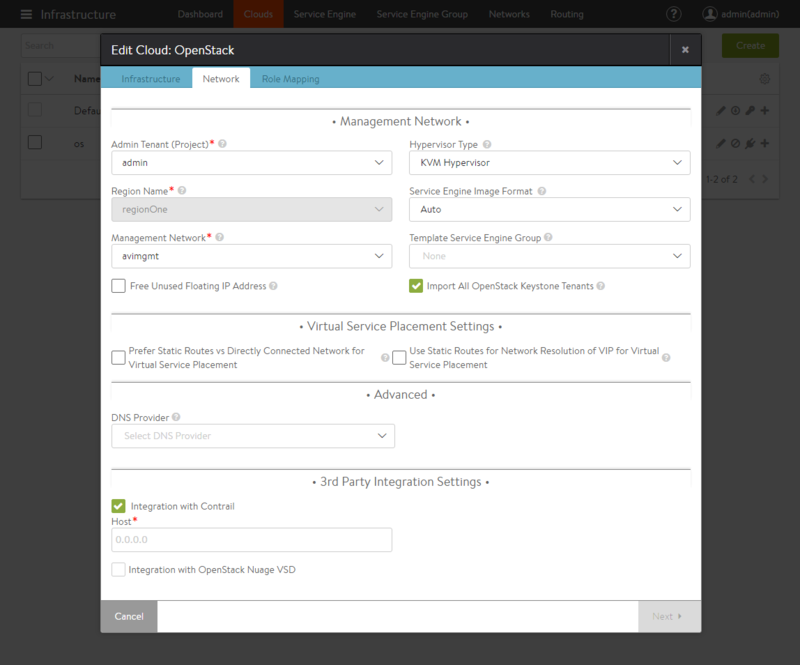 Please refer to OpenStack’s Store metadata on a configuration drive article for further details. Metadata-service: Instances can access the metadata-service at http://169.254.169.254 to retrieve instance-specific data. 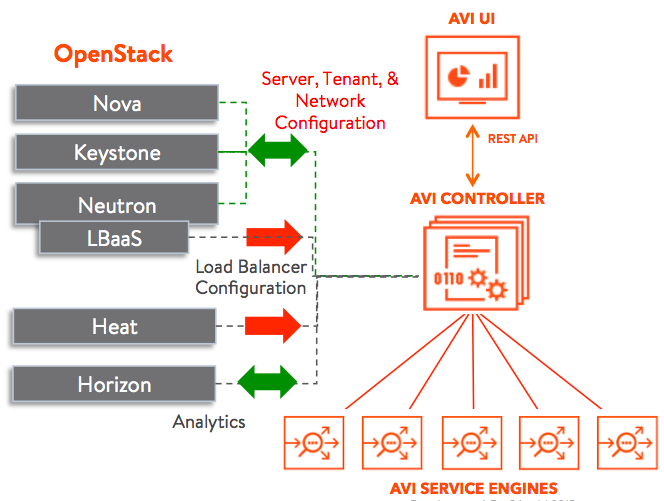 Avi Vantage supports both options, with config-drive preferred over metadata-service and requires the OpenStack deployment to support one of these options. Allowed-address-pairs (default=True), a Neutron extension enabling traffic with specific CIDRs to egress from a port. Avi Vantage uses this extension to “place” VIPs on SE data ports, thereby allowing VIP traffic to egress these data ports. If set to True, the allowed-address-pairs extension will be used. If the underlying network plugin doesn’t support this feature, then VIP traffic will not work unless there are other means to achieve the same effect. This option can be turned off if the underlying network supports turning off security/firewall/spoof filter rules on ports. 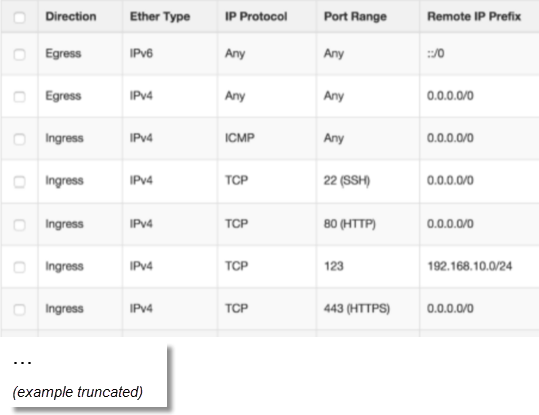 Example: On OVS with iptables, the a rule for ‘172.24.10.7’ would be added to the Avi data port with UUID prefix 019ec61b. Port-security (default=False), a Neutron extension enabling or disabling packet filtering on Neutron networks and/or ports. If the underlying network plugin doesn’t support this feature, then VIP traffic will not work unless there are other means to achieve the same effect. By default, on an OpenStack network and/or port, port_security_enabled is True, which activates the rules defined by the port’s security_groups and allowed_address_pairs on that port. For example, the following shows an Avi SE data interface with a VIP placed on it via allowed-address-pairs. If port_security_enabled is False on a port, then neither security_groups nor allowed_address_pairs are associated with that port. This completely any anti-spoof and packet filtering on that port. 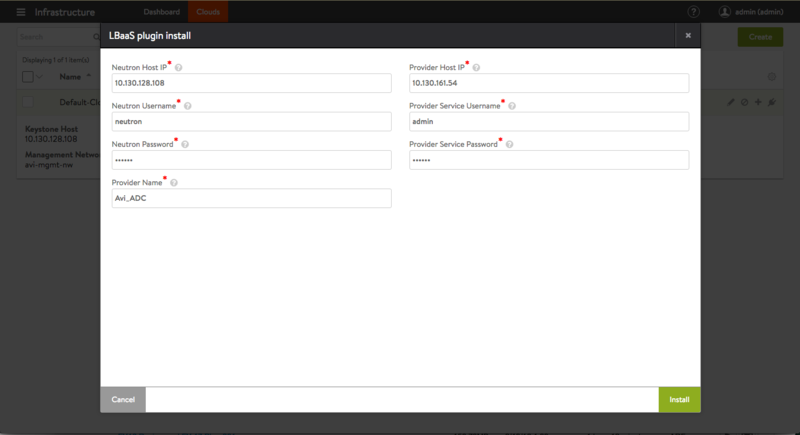 For example, the following shows an Avi SE data interface with a VIP placed on it via port-security. 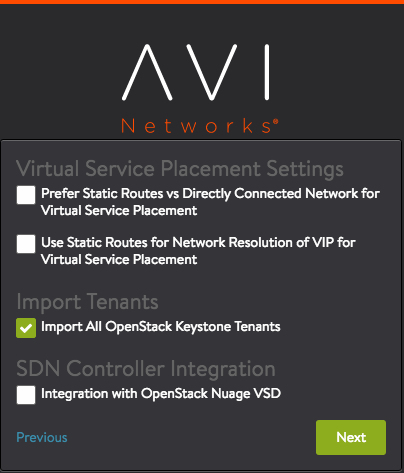 By default, the Avi admin tenant maps to the OpenStack admin tenant. 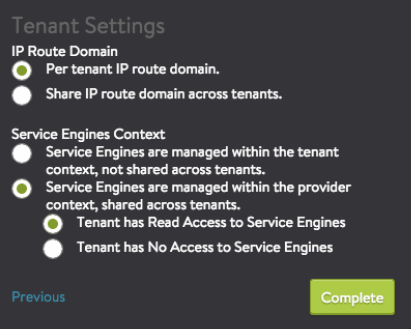 If this option is set to True, then the Avi admin tenant maps to the admin_tenant configured in the Avi cloud. 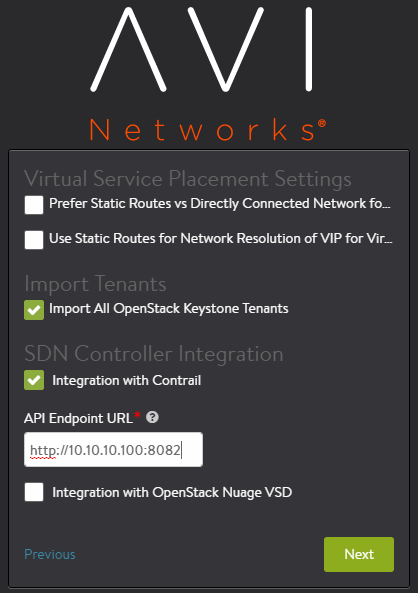 This directly maps the load-balancer-related operations onto the corresponding tenant in OpenStack. 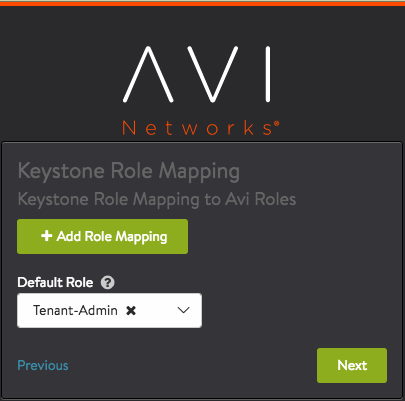 By default, Avi Vantage consults the Neutron role-based-access-control (RBAC) rules to retrieve the ‘usable’ list of networks for a tenant. 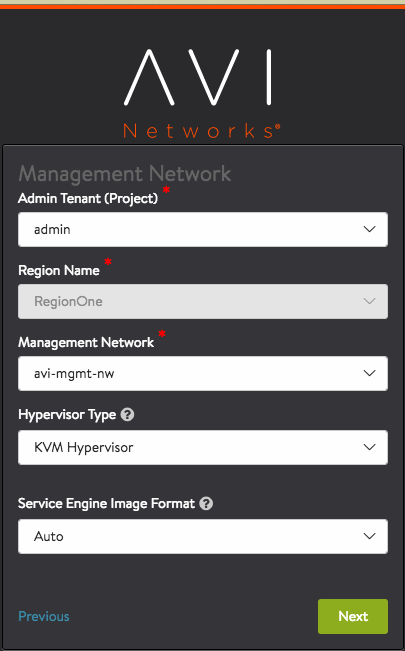 This list would normally include the tenant’s own networks, any non-tenant networks widely shared with ‘all’ and any non-tenant networks explicitly shared with the tenant using RBAC. This flag is useful in provider-mode SE configuration and if False, the RBAC shared networks are not included in the ‘usable’ list. 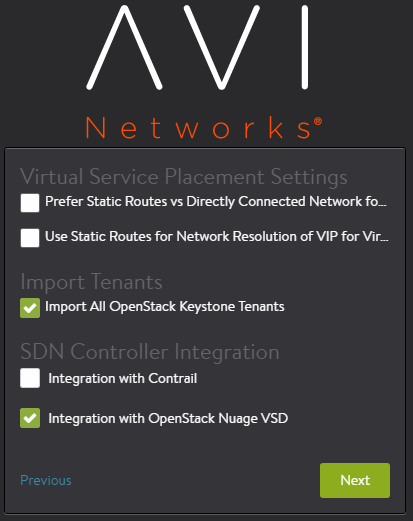 By default, Avi Vantage only displays the ‘usable’ list of networks for a tenant as described in (7) above. In some deployments, it maybe required to have some extra networks visible to the tenant. This repeated field allows such a configuration. 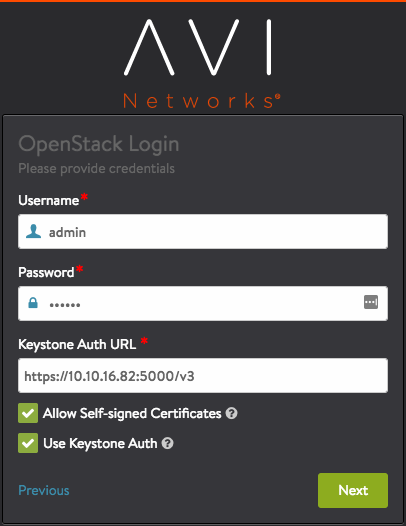 NOTE: the networks listed here must still be accessible by the admin-user configured in the Avi cloud; this is verified at every network listing and is determined by the OpenStack role of admin-user in that tenant. 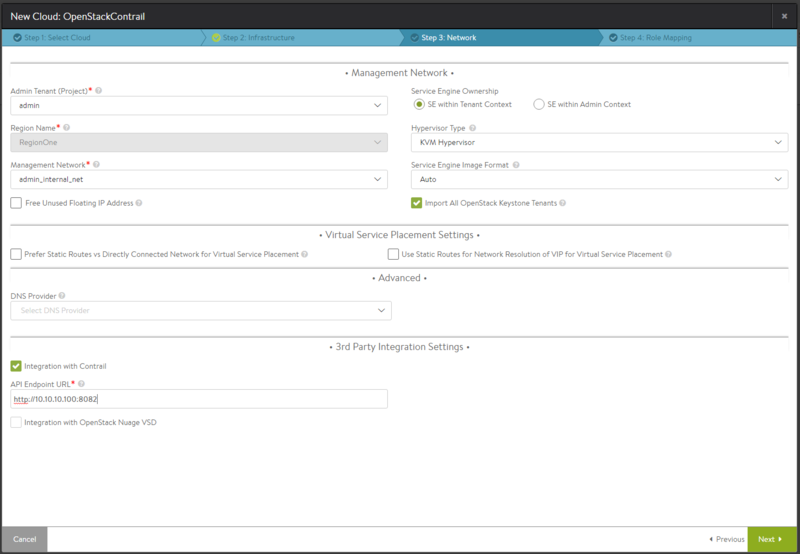 Note: Only LBaaS v1 driver installation is supported using the Avi UI. Please use the script method detailed in the previous section for installing v2 driver. 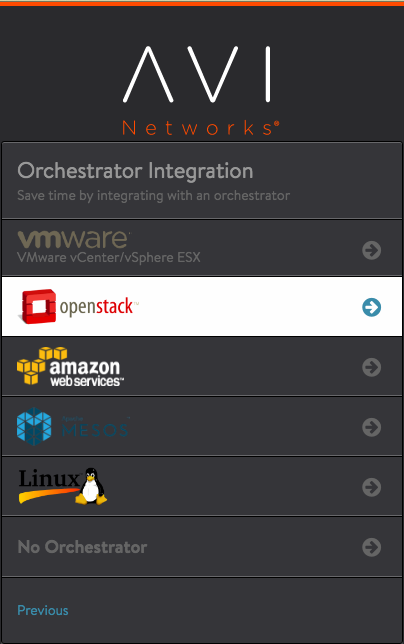 This part of the installation requires an account for access to the OpenStack Horizon server. We distribute our software as Python PIP packages and Debian packages. Either the pip utility or a Debian package installer tool (such as dpkg) is required to be available on the Horizon server. If you have LBaaSv1 installed and need Avi Horizon extensions to support SSL certificates, multiple listener ports per VIP, and analytics, please follow the installation instructions at Avi Horizon Tabs README. If you have LBaaSv2 installed or want to expose full Avi UI, please follow the installation instructions at Avi Horizon Panel README. Important! Don't forget to restart the Horizon service after installing the extension. 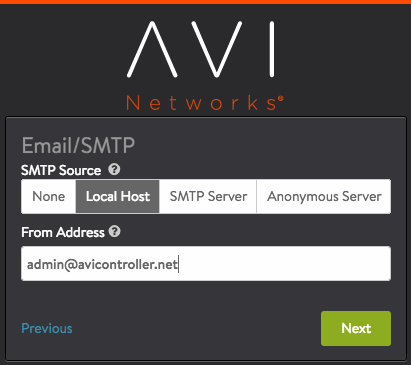 Note: Avi Horizon plugins use iFrames to render the Avi Controller’s web pages within Horizon. This requires replacement of the Controller’s self-signed certificate (see below). If the Controller’s self-signed certificate is not replaced with a valid one, Avi-related pages may not appear in several common browsers.